Aside from the very obvious Spitfire 1500 decals on the nose and tail, you’d need to be a devout anorak-wearer to spot the external differences between this and a MkIV. Silver rather than black wheel centres are probably the most obvious. The real change comes under the bonnet. 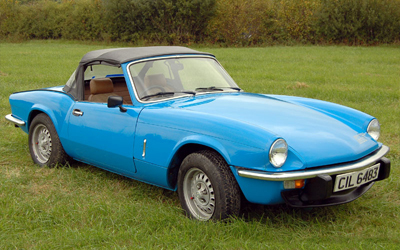 The new capacity came from a longer stroke crankshaft which rather blunted the engine’s will to rev, and made life tougher for the crank bearings, but it punches out a lot more mid-range power and the taller gearing it allowed made the Spitfire a genuine 100mph car at last.